The meet-up focused primarily on planning for the upcoming quarter, giving attendees the chance to hear from current leaders, learn about best practices for organizing events, set up new study groups and courses, and brainstorm about the types of events, like hackathons and lecture series, that everyone would like to see in the future. 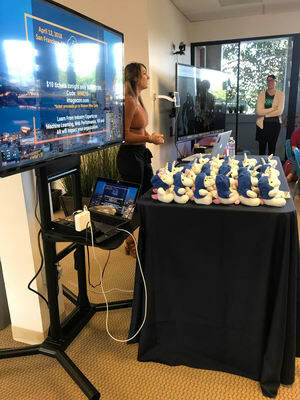 During the meet-up, we also had the chance to talk to the group about Cloudinary, and why we think it's so great to work here. Cloudinary is growing, and there are some great opportunities available for individuals to join our team. But most important, perhaps, is Cloudinary's desire to promote technology careers for women. This year we're working to encourage more female developers and architects to join our annual ImageCon event, which is taking place on April 12 at the Four Seasons Hotel San Francisco. 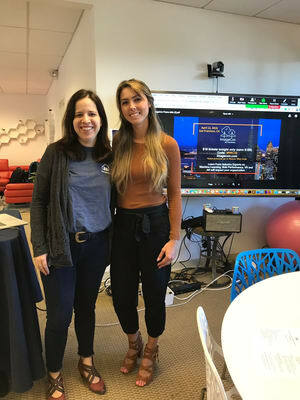 We had a chance to chat with WWC meet-up attendees about ImageCon, where they will be able to hear from an impressive array of speakers, and learn about the latest trends that span machine learning, web performance, and how VR and AR will impact their organization. Five lucky meet-up attendees even won free passes to ImageCon as part of a raffle we held, while others received discounted registration passes. Cloudinary is even extending its support of WWC even further this year. We are proud to say that all ticket sales proceeds from ImageCon will be donated to WWC to support various activities this year. We hope you can join us at ImageCon next month, and if you’re a woman in tech, consider joining us for future WWC events – whether as an attendee, volunteer or by taking a bigger leadership role.